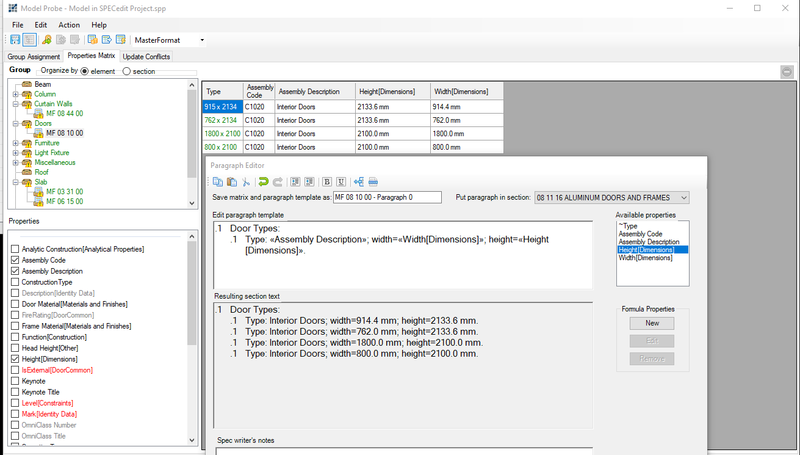 SPECedit is a word processing editor designed exclusively for construction specifications. It allows designers to quickly reduce master specifications created in any in any Word format into a single project specification file with a minimum of effort. SPECedit is built upon the technology of NMS-Edit. NMS-Edit has been available for the Windows family of computers since 1983. Architects, engineers, specification writers, building owners and government agencies across the country use and recommend NMS-Edit for construction specifications. SPECedit connects to 3D CAD models using Model Probe™. Check here for a description of Model Probe. Model Probe ensures your specification matches the properties in your model, saving you the potential of costly change orders if the design is misinterpreted. 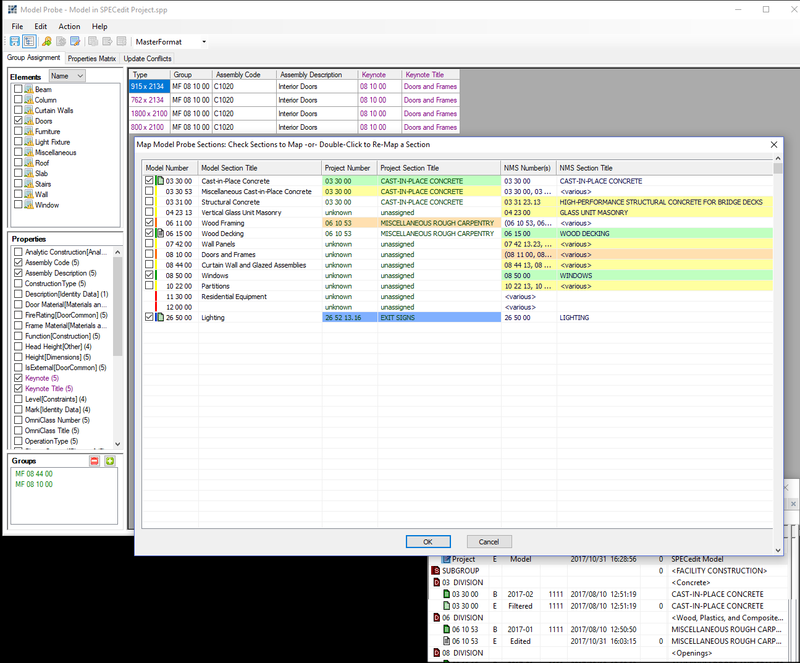 By taking advantage of the graphical user interface of Windows and integrating project management features, this new version, called SPECedit is easier to use than ever before. 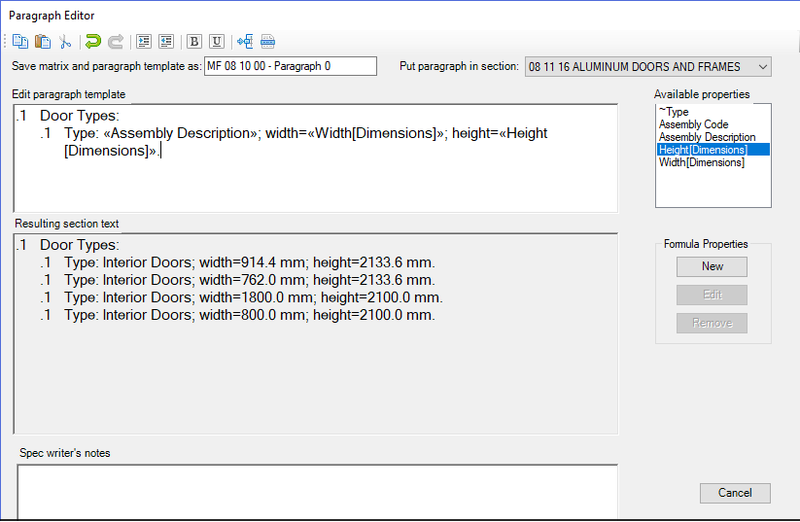 SPECedit is designed to be simple enough that architects, engineers and specification writers can use it, reducing the amount of proof reading and extra checking needed. 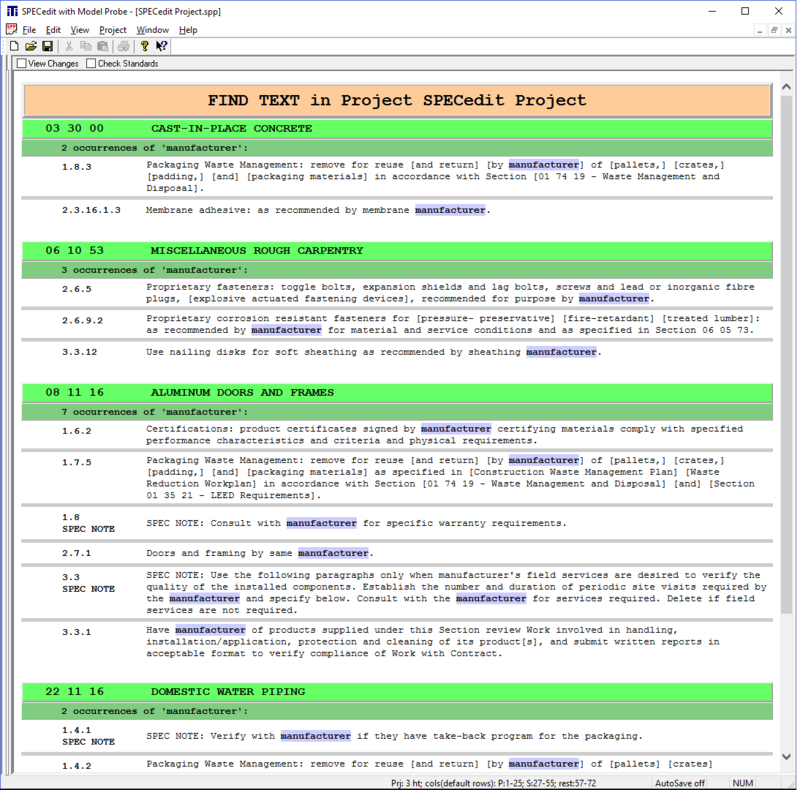 It has tools and features that make specification writing a dream. Model Probe is an OpenBIM connection to 3D models. Model Probe understands the model data and interprets it for your specification. 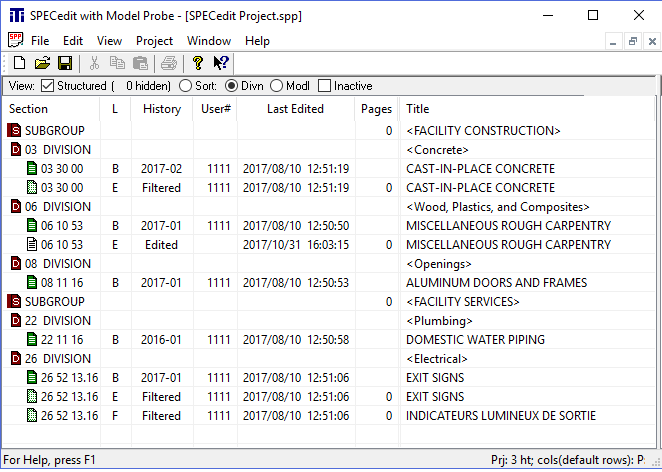 Using Model Probe with specEDIT, you are able to select entities and their properties from a model and insert a paragraph or table into your specification containing the same data, easily. Once the data is placed, should the model be updated and the properties changed, your specification will update automatically. The editor supports sections numbered with 5, 6, 8 or 10 digits. Just let us know who you are.